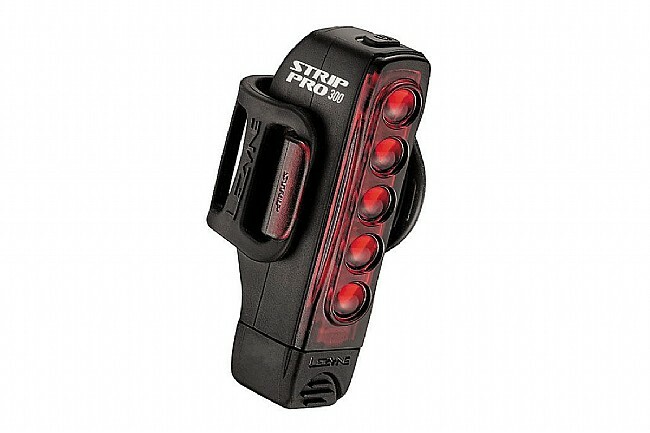 Stack the odds in your favor by hooking Lezyne's Strip Drive Pro Rear Light to your seatpost when you head out on the road. Its lightweight and durable co-molded construction houses 5 ultra-high output LEDs behind Lezyne's MOR lenses to create a wide and uniform light spread that includes side visibility. 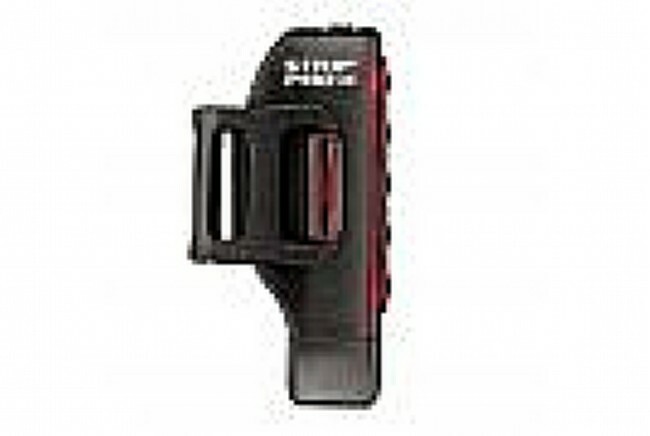 The unique shape of the Strip Drive Pro allows it to be easily attached to aero seat posts as well as normal round posts, and it also features an integrated USB connector so you don't have to dig through the drawers looking for a cable to recharge the light. In total, there are 9 different flash and steady modes, and Mode Memory functionality powers up the light in the last setting used so you don't have to toggle through all of them each time. Claimed weight is 69 g. Recharge time is an estimated 2.5 hours. Day Flash 2 / 150 Lumens: 4:30 hours. Likes the rubber strap mounting gives flexibility enough to mount on a seatpost or chain stay. I do both depending on which bike I am riding, and this is great. The light can be very bright and visible. It has multiple settings. Dislikes It has multiple settings, which is cool, but it has too many (11 different settings), which is nonsense. Three or four would be fine. It took awhile to find the best setting for me, which balances brightness with battery run time. I don't love the recharge method (has a USB nub that make you plug the entire light into a charger, rather than a cord simply going into the light). Good option for aero seat posts. I my opinion, Aero bikes look best when their lines are kept clean with no extraneous gadgets or storage hanging off of them, save for bottles and cages and a computer. However, safety is always paramount, so when it comes time to add lights, something that installs quickly when you need it is always a good thing, so when it comes time to remove it, its just as easy to restore the bike to its original aerodynamic sexiness. This light has a very stretchy band which offers a firm grip on round and aero seatposts. No tools needed. The light itself is narrow enough that its tucked neatly behind the post, out of the way of the wind and the inside of the riders thighs. There are almost too many light pattern options to choose from, some are quite creative but once you find one that you like, the device remembers it and saves you the hassle of having to scroll through all the settings to find that particular pattern again. The light output is great, and spreads out enough to illuminate a wide area behind the bike. This is my first USB charging rear light, so that means that I can stop buying batteries. One additional note This light has two tiny LEDs that serve as battery lifecharging indicators, one green and one red. The indicators on my device were reversed from what was shown on the diagram in the manual, meaning that the green was where the red should be and vice versa. No big deal, a little confusing at first because both lights look red under the red lens, and I thought my device wasnt charging properly. But its all good. Use for all around rides. bright with several modes. Charging is inconvenient and stopped chargingworking quickly after little use. Great light - bright, easy to mount, visible. Many options for light settings. 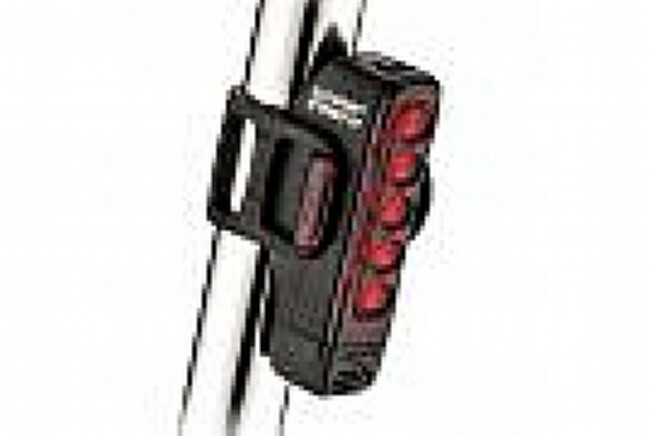 Only thing Lezyne could have improved would be some feature to let you know which light setting is in use. This is a great taillight. Super bright and good battery storage.